Kirby confidante – and inker! 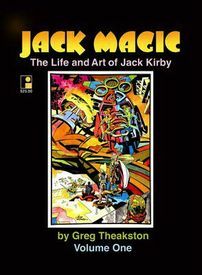 – Greg Theakston, who is well known to readers of these pages as the power behind Pure Imagination publishing, has finally completed the first part in his long awaited recollection, reflection and appreciation of, and on, the life and work of the one and only Jack Kirby, King of Comics. 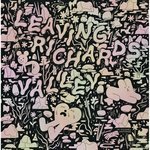 This book is printed in the typical Pure Imagination format: 160, 8 1/2" x 11", B & W pages; softcover. It is liberally illustrated with Kirby comics – and cartoon – art that includes some early rarities. It also includes a selection of photos that featuring Kirby family portraits and snapshots as well as shots of him at the drawing table, hanging with pals and in the army. There are plenty of Kirby books already out there, and sure to be plenty to come, but only a few of them can be written by someone who has spent as much time with him as Theakston has, so we are hopeful that unique stories and insights will unfold within these pages.